Why did St. Peter carry a sword? « Bull in a China Shop! This entry was posted in Gun Control, Parenting and tagged http://johnhttps://johnlchurchill.files.wordpress.com/2013/01/sword.jpg?w=410http:https://johnlchurchill.files.wordpress.com/2013/01/sword.jpg?w=410//johnlchurchill.files.wordpress.com/2013/01/sword.jpg. and will come back in the future. I want to encourage you continue your great work, have a nicee afternoon! Augustina, thank you for the encouragement. I’ve let the blog lack. I will get back to it in the next week because of your input. Thanks!! A common error in interpretation of the above Timothy passage is to read “provide” as “defend”. They are not the same word in the Greek and do not carry the same meaning. If we carry our meaning into the text we run the risk of drawing a faulty conclusion. The New Testament does not appear to contain any prescriptive passage for the church or the individual believer to defend people or possessions, although there are several in the Old Testament. It’s an interesting question why there is the absence. I was looking for the reason why Peter carried a sword. I read once somewhere he was a part of a sect of Hebrews that were known sword carriers. I am having a hard time finding it though. First of all, we must remember that God’s commandments, including those commanded by Christ, pertain to how one saint is to interact with and treat another saint. Throughout the Bible, God’s reference unto the unsaved are as one who is dead. With that being said, Christ knew that the Apostles would have to continue on in an unreceptive and disbelieving world. Thus, they would have to fend for themselves, including their own self-defense. Remember, Christ warned that troubles would come. Back in the day, the Apostles would need to carry a sword. Although it is true that only approximately 3 or 4 Apostles were designated sword carriers for the group, from time to time a sword was needed for many things. Remember, a sword was simply a tool. Nowadays, a gun would be in place of a sword. God’s commandments of how one Christian saint is to interact with and treat another Christian saint still applies, but with the increasing godless violence occurring daily, the lesson of our Lord’s commandment to buy and carry a sword remains even more pressing. In Christ’s rebuke of Peter’s cutting off the high priest servant’s ear pertained to aggressively first turning to violence. 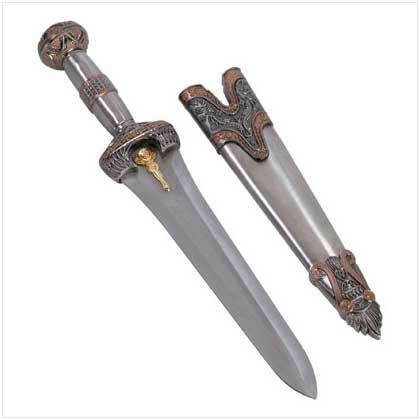 A sword used as a self-defense weapon for escape is not spoken against in the Bible.